Situated on Ha Khe hill, on the left bank of the Huong River, about 5km toward the west of Hue city, Thien Mu Pagoda is a famous spiritual destination the tourists don’t want to miss in your list of things to do in Hue along with the beautiful and ancient architecture, the mystical spiritual stories about the temple attracted the curiosity of people coming here. Thien Mu is the earliest pagoda built in Hue city. When Lord Nguyen Hoang, the first Nguyen lord of Cochinchina, came to Thuong Hoa village and Quang Nam province, he personally visited the site to prepare for his fortune, to build an empire for Nguyen family. 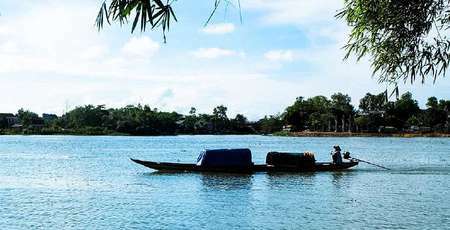 On a horseback ride along the Perfume River(Huong River), up to the head of the river, Nguyen Hoang encountered a small hill beside the Perfume River named Ha Khe. 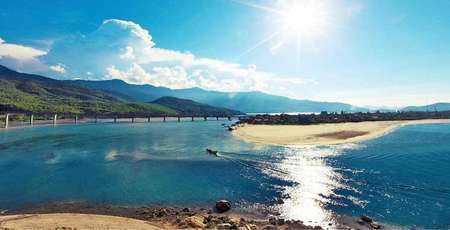 Recognizing that the place is like a dragon is turning its head back, in 1601, the Lord built a temple on the hill, facing the Perfume River and named it Thien Mu. At this time, local people often said that an old red-faced lady appeared on the hill and told people: "There will be a true god to build a temple to maintain the spirit for the mighty South. Therefore, the Lord Nguyen Hoang temple construction as the rhythm of the people should be popular with the people. In 1862, Tu Duc, the fourth king of the Nguyen Dynasty, changed the name of the temple into Linh Mu, meaning that he was sacred for fear of Heaven's name (Thiên means Heaven ). 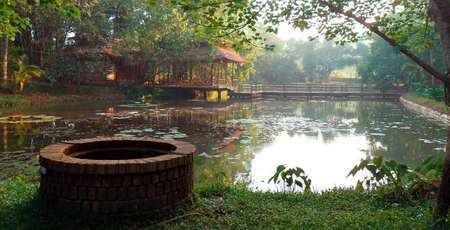 However, after 1869, people used both Thien Mu and Linh Mu to call the temple. Under the reign of the Nguyen lords, Thien Mu pagoda Hue had undergone many major repairs. In particular, the restoration of the scale under the Lord Nguyen Phuc Chu (1691-1725). 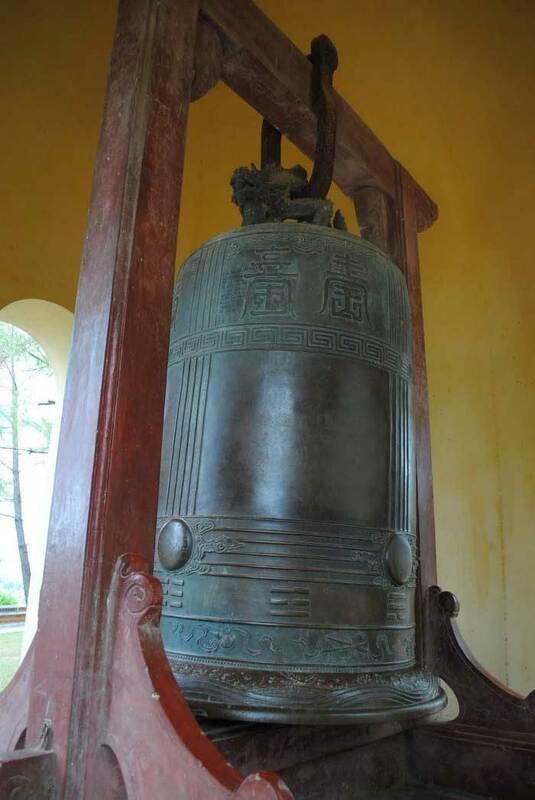 In addition, Lord Quoc ( the other name of Lord Nguyen Phuc Chu) also cast the Dai Hong Minh - a large bell, weighing over two tons in 1710. In 1714, the Lord Quoc continued to renovate a large scale of architectural works such as the Uranus, Dai Hung, Lecture France, Tang Kinh ... The lord also personally wrote many articles engraved on the tombstone here about the process of buildings in the temple. In particular, Lord Nguyen Phuc Chu also let people buy more than 1,000 Buddhist scriptures to put in the of the Tang Kinh temple, chanting the Buddhist law and clearly the story of the venerable monk Thach Liem - who had a great merit in helping the Nguyen lords to restore Buddhism in Cochinchina. 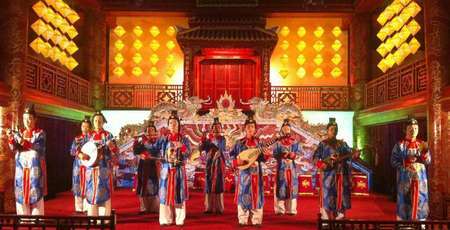 With great investment, Thien Mu became the most beautiful temple in Cochinchina at that time. 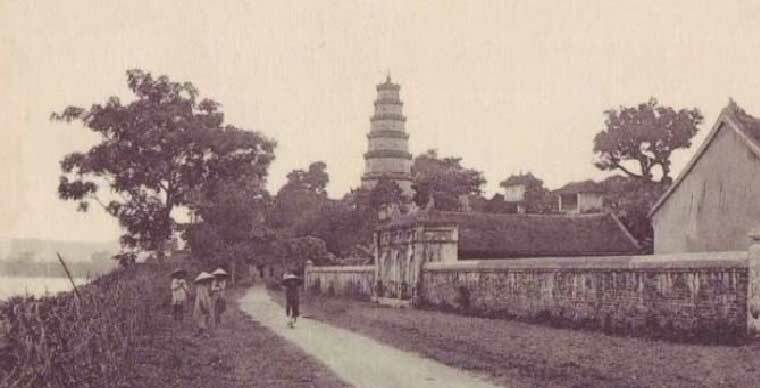 In 1788, the Tay Son dynasty chose the pagoda as the place for the Earth and Heaven Worshipping. 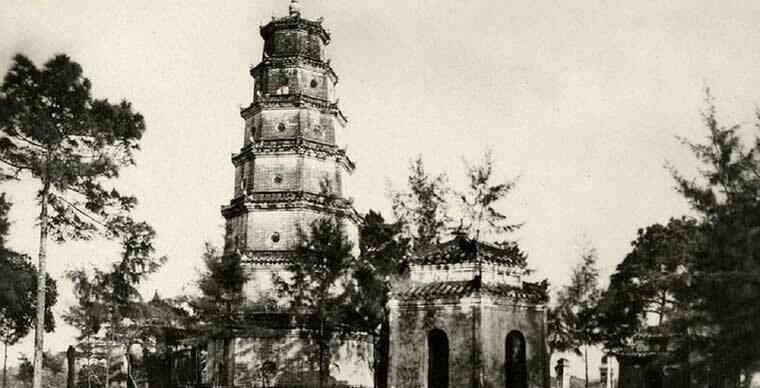 Under the reign of King Thieu Tri, about 1844, Thien Mu Pagoda was built an octagonal tower named Tu Nhan, later changed to Phuoc Duyen. The tower was built in front of the pagoda with the height of 21m, including 7 floors and each floor has a statue of Buddha, the top floor has a gold Buddha statue. This is the architecture associated with Thien Mu Pagoda. In addition, King Thieu Tri also built Huong Nguyen Temple in front of the tower. On top of the temple, there is the Falun Dafa - the Buddha Dharma wheel - the symbol of Buddhism. But in 1904, the temple was collapsed by a large storm. In 1907, King Thanh Thai rebuilt the temple, but the scale is not as large as before. 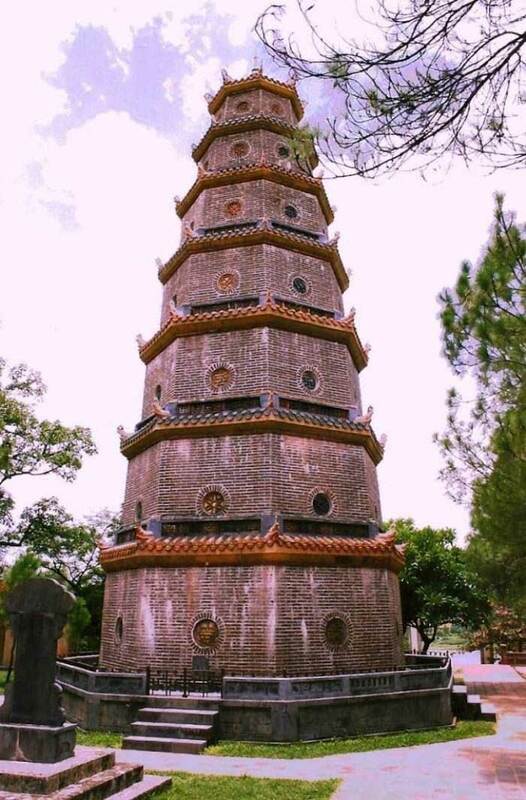 At present, Thien Mu pagoda holds two Vietnam records which are the pagoda with the largest Le Trung Hung tombstone and the oldest octagonal pagoda. In addition, the temple is also ranked in the list of 20 landmarks of the mysterious citadel and is an indispensable destination in the Hue trips. 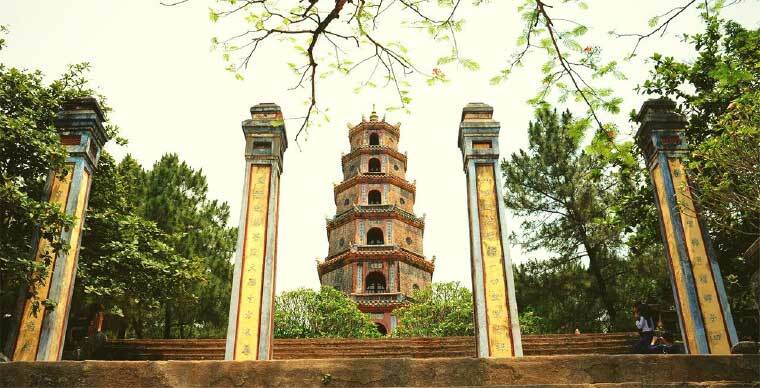 Not only famous by ancient architecture, grave, Thien Mu Pagoda also associated with a mystical spiritual story. In the time Lord Nguyen ruled in Cochinchina,when it came to marriage, the parents called the tune. It’s once said that at that time there was a wealthy family girl and an orphan boy fell in love. 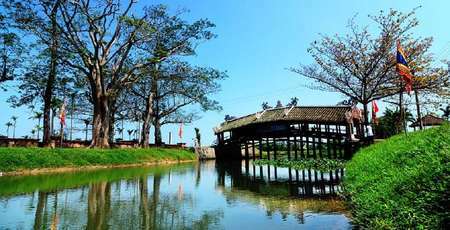 Due to the girl’s parents' forbidding, they went to Mu boat station (in front of the Thien Mu Pagoda) to commit suicide. Ironically, when the boy died, the girl washed ashore and was rescued by the people nearby. She was forced to take a rich man as her husband. Over time, the girl gradually forget the old love and happily live a wealthy life. The boy’s spirit under the river waiting for the lover but didn’t see her so with the hatred flaring inside him, he cursed all the couple who came to the temple would break up with each other. 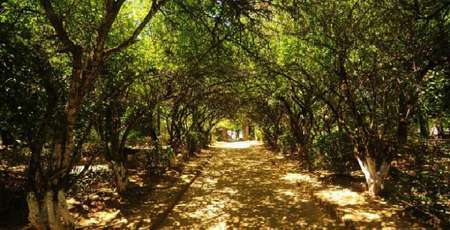 However, according to the sharing of a monk practicing in Thien Mu Pagoda, the temple used to have many trees and bushes, the couples came to the temple often made use of them for their unclean business. Therefore, people had made the story up to keep the purity of the temple. Over the past four centuries, the old curse has been still spoken, some people do not believe, but some people do not dare to go to the temple. However, there is a fact that this curse has made the temple more mysterious and attracted curious seekers. 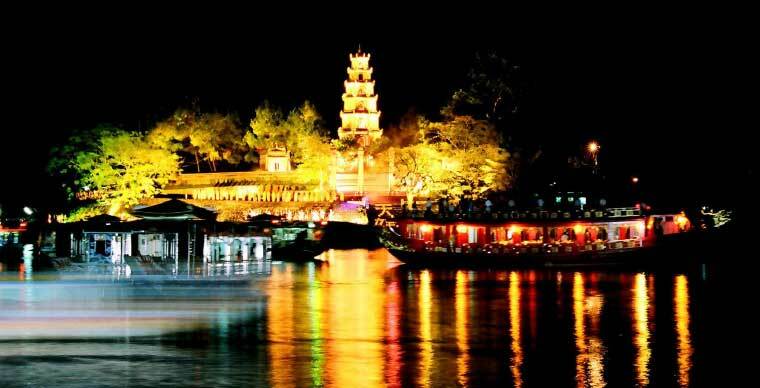 Today, the ancient Thien Mu Pagoda is still quietly gazing on the beautiful Perfume River and became an indispensable destination of tourists in Hue.